Yesterday was a sad day. I am not sure if we feel it more in Silicon Valley or if everyone else feels the same. It was like a beloved teacher or relative passed away. Steve was such a game changer in so many industries. As I sit here typing on my mac and playing Words with Friends on my iPhone 4, I will be constantly reminded of how Apple is a huge part of my life. As a graphic designer, I’ve used Apple products my whole life. Except for typing some papers up in college on my parent’s PC, I’ve exclusively been a mac girl. All 3 of my kids have iPhones or iPod Touches, plus two macs at home and 4 at work. I guess you could call me a fangirl. We will miss the magic and mystery that he brought to Apple but will look forward to the next generation of products that I am sure he mapped out far in advance. On another note, we are doing a give-away. An LA based blogger is giving away one of our baby shower kits. Just leave a comment on her site, tastertotsla.com. The limited edition baby shower kit is valued at $120. This ensemble has all the supplies you need for a 24-person party, except for the food and drink you’ll serve, and the guests themselves. The giveaway winner can choose either a blue, pink or green themed set. 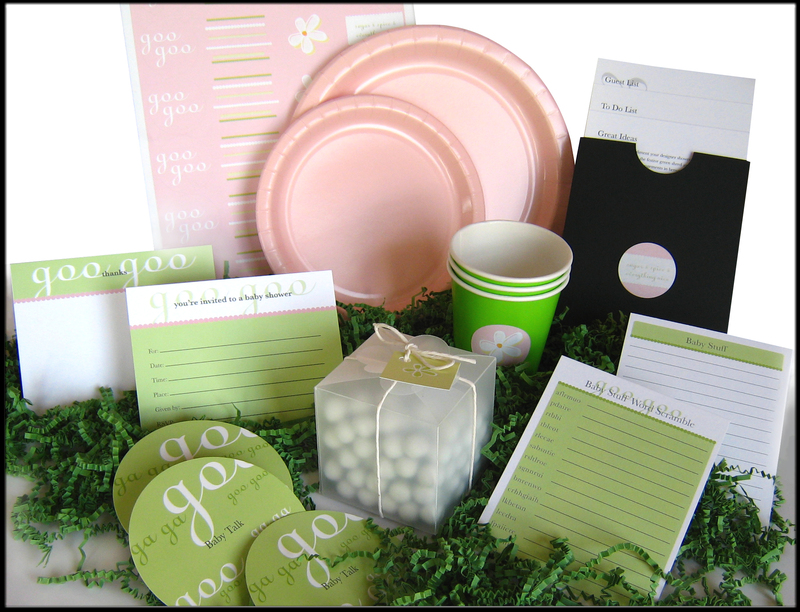 * Plus – a party organizer with game suggestions, answers to provided games, a guest checklist, a party checklist and fun party ideas. This entry was posted on 10/6/11 and is filed under random goodies.